Should you have a billing issue or concern that you have been unable to resolve with our staff to your satisfaction, please contact the Patient Financial Services Director at (785) 263-6644. Please check in at Registration prior to your appointment and bring your insurance cards with you for billing purposes. Your insurance carrier may cover some or all of the charges for medical services. You may receive multiple statements when certain procedures are performed. For example, a radiology test will result in a statement from Memorial Hospital and a statement from the radiologist who interprets your test. Please contact the individual provider’s office directly if you have questions about their billings. The hospital will prepare and file claims to your insurance company as a courtesy; however, this should not be viewed as relieving you of your obligation to pay the entire fee. To ensure timely processing of insurance claims, it is important that the Hospital has accurate information. It is your responsibility to notify your patient account representative of any changes in your name, address, phone number or insurance information. See contact phone numbers listed in this page. Memorial Hospital accepts Medicare assignment. A claim will be filed to Medicare and your secondary insurance. Memorial Hospital accepts Medicare Advantage Plans assignment. A claim will be filed to your MA plan and the remaining co-insurance and deductible will be billed to you. It is your responsibility to ensure that your insurance company has up-to-date and correct information about you and others covered by your insurance. To help you get the most from your health plan, we encourage you to become familiar with your medical insurance plan’s requirements before seeking care. Plans can differ significantly. Each patient should know and understand his or her individual benefits package. Please contact your insurance company at the telephone number on your insurance card if you have questions regarding your coverage. Your plan may have special requirements such as a second surgical opinion or pre-certification for certain procedures or tests. It is your responsibility to make sure your plan’s requirements have been met and that all referrals and prior authorizations are in place before seeking health care. We will submit a claim to your insurance company, provided you supply all the required information. Payment for service will be sent to Memorial Hospital. If your insurance company fails to pay within a reasonable time, you will be asked to contact your insurance company to inquire why payment has not been made for your services. If payment is not received within 30 days following our request for your assistance the account balance will be deemed patient responsibility. If you are underinsured or uninsured, you may qualify for Medicaid/KanCare. Applications for Medicaid/KanCare are available at your local Kansas Department of Social & Rehabilitation Services Office. The processing time frame for Medicaid/KanCare applications runs from 30-45 days. All Medicaid/KanCare patients must present a current eligibility card at the time of arrival. You are responsible for all non-covered portions. If your Medicaid/KanCare program requires a referral from your primary care physician you are responsible for making sure the referral is in place before the service is provided. Memorial Hospital does not submit bills to out-of-state Medicaid plans. You will be responsible for payment of your services. We will provide a claim form for you to submit to your local Caseworker for personal reimbursement. Memorial Hospital has signed contracts with KanCare Providers Sunflower, Amerigroup and United Healthcare Community Plan. Patients enrolled with any of these plans will be in their network for services received at Memorial Hospital. If your health care needs are the result of a work-related injury, we will bill your employer or your employer’s liability carrier. We will also ask for your health insurance information in the event that Workers’ Compensation denies the claim. You are responsible for ensuring that your worker’s compensation company will cover services. If you have VA benefits, a referral from the VA must be secured for every visit. You are responsible for making sure the VA referral is in place before the service is provided. As required with Medicare/Medicaid regulations, as well as other commercial insurances, any medical expenses incurred as a result of a motor vehicle accident or personal liability will be billed by Memorial Hospital to the Third Party Liability carrier. Your personal health insurance will be requested at time of service so we may be able to bill your health insurance if a denial is received from the Third Party Liability insurance. 20% deduction of the total balance due if the full payment is made within 30 calendar days from the date of the first bill. 10% deduction of the total balance due if the full payment is made within 40 calendar days from the date of the first bill. The request form for the discount is included with the initial bill that is sent to every uninsured patient. Account balances are expected to be paid in full within 30 days from your first statement date. 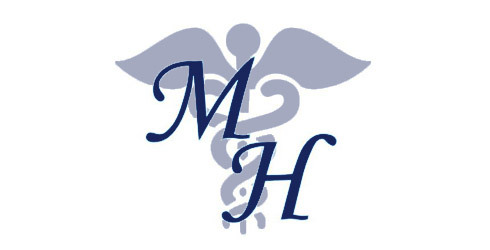 If you are unable to make payment in full, please contact MH’s Patient Financial Counselor to discuss a payment plan. If you have questions concerning your insurance billing, want to discuss payment options, or to see if you qualify for financial assistance, please contact your assigned patient financial counselor. You meet the financial criteria.